The American Library Association (ALA), the Federal Reserve, and I hope that many librarians and their libraries are participating in the first ever national Money Smart Week® @Your Library this week, April 2-9, 2011! Money Smart Week (a registered service mark of the Federal Reserve Bank of Chicago) events are taking place now at member libraries across the country covering topics from learning how to apply for a mortgage to teaching young people about credit to ID theft protection, with many resources uploaded to the Money Smart Week® @Your Library official site, linked above. Visit this site for information on this initiative and for news and important links you can use this week, right now! 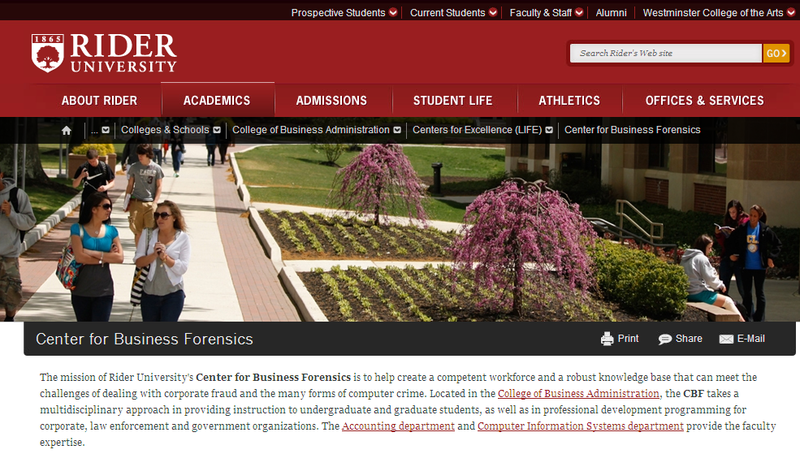 Additionally, Rider University’s Center for Business Forensics (CBF) has hosted several free interactive panel presentations for the general public (students, staff, community members, etc.) 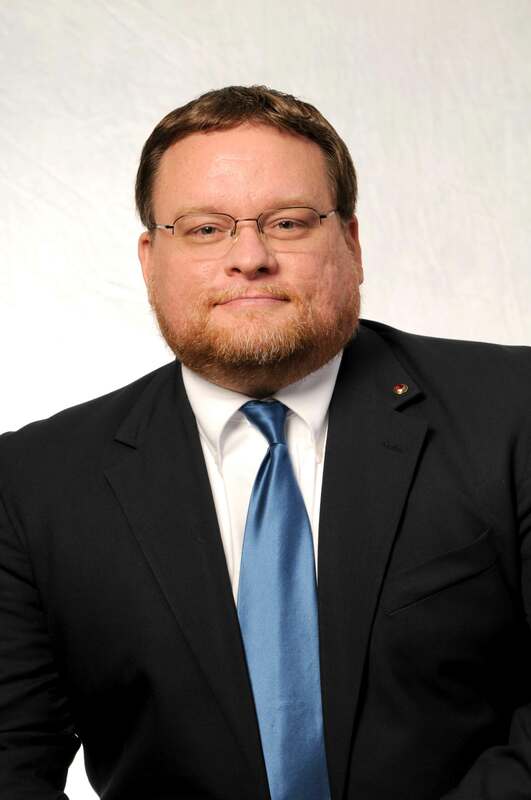 and law enforcement personnel focusing on the major issues surrounding identity theft—including financial literacy—and providing insight into the widespread, varying, and serious nature of identity theft. 1. Shred with a crosscut or micro shredder pieces of mail that contain any personal information before throwing them in the trash at home or at work. 2. Place outgoing mail and retrieve incoming mail via a locking mailbox or official Postal Service box. 3. Use a virtual credit card number (available through most banks) for online purchases, rather than your “real” credit card—connected to your card, the virtual number can be set up to only be used once, for that one online purchase (or for longer, but only if you wish). 4. Keep an eye on your credit card when you are paying for something—don’t allow it to disappear out of your sight (skimming of your card could occur). 5. Inventory/photocopy what is in your wallet/purse and place that photocopy (back and front of cards) in a locked cabinet—if your wallet/purse is stolen, you have all the info. 6. Never respond to an unsolicited email from your bank, medical organization, etc., and don’t unsubscribe—don’t even click on the link, just delete it. 7. Cover the ATM keypad from prying eyes and cameras with one hand while you enter your PIN. 8.	Review your credit reports (you can get a free one each year from each of the three credit reporting agencies, and if you stagger requests, you can get one every four months). 9. Clear private data from your browser (i.e., Firefox, IE, or Safari): delete temporary files, browsing history, cookies, cache, saved form information, and saved passwords, especially when using a public computer or kiosk at a library, hotel, airport, coffee shop, etc., and then shut down your browser. 10. Use different passwords for different sites—and try changing/updating your passwords to passphrases. Last but least, my annually-updated free website, Personal Profiles and Other Publicly Available Information: An Internet Hotlist on Detecting and Protecting Your Digital Footprint, contains some of my favorite ID theft protection, privacy information, and financial assistance sites, among other things, found on experts’ sites on the free Web, including our Identity Theft: What You Need to Know seminar project’s 29-page handout from Rider University, available to all. Remember, according to Terri Cullen, author of The Wall Street Journal Complete Identity Theft Guidebook: How to Protect Yourself from the Most Pervasive Crime in America, ( “…Identity theft covers several different specific crimes, and collectively,…is one of the easiest crimes to commit, one of the hardest to prosecute, and one that is drawing increasing attention from the media.” So, feel free to share this information with all of your patrons and students, especially because proactively protecting your digital footprint and your finances is much easier than dealing with them after the fact as a victim—being a victim can be a very emotional, time-consuming, and financially-unrewarding process. Again, prevent it from ever happening to you, and help others do the same. Anyway, I hope this all helps you during Money Smart Week® @Your Library this week, April 2-9, 2011. Enjoy partnering with and/or sharing pertinent information from your community groups, financial institutions, government agencies, educational organizations, and other financial experts this week to help all of our consumers learn to better manage and protect their personal finances! San Diego has a high today of only 59 degrees, so it’s not the warm getaway I expected, but it’s still a welcome relief from the piles of snow I left behind in New Jersey. The 2011 ALA Midwinter Meeting is underway and today the convention center was full of dedicated librarians today, scurrying off to one meeting or another, or visiting the over 450 exhibitors. I am always impressed at how well ALA does a conference. Every person I spoke to was helpful and friendly and the speakers here are always interesting- Neil Gaiman, Nancy Pearl, and Ten Danson are on the line up for tomorrow. I am really looking forward to attending my first Youth Media Awards on Monday morning. As Vice President of NJASL, I’m here with our President Elect, Fran King and President, Judith Everitt to attend the Affiliate Assembly meetings for AASL. I respect all of you that are attending this conference and participating in multiple committee meetings to better yourself and this profession. In these tough times, it is crucial that we network and advocate every step of the way. The American Library Association (ALA) has announced in October 2010 a partnership with the Federal Reserve Bank of Chicago to make “Money Smart Week @ Your Library” a national initiative from April 2-9, 2011, and things are beginning to heat up now in late December—at least for this national initiative! Celebrating its 10th year in 2011, Money Smart Week’s mission is to promote personal financial literacy (Note: Money Smart Week is a registered service mark of the Federal Reserve Bank of Chicago). Throughout the 10-year history of Money Smart Week, libraries have been instrumental in facilitating and hosting quality Money Smart Week events. For instance, libraries of all types in Illinois (and Chicago), Indiana, Iowa (and Quad cities), Michigan, West Virginia, and Wisconsin participated in Money Smart Week in 2010, partnering with community groups, financial institutions, government agencies, educational organizations, and other financial experts to help consumers learn to better manage their personal finances. ALA and the Federal Reserve hope that even more librarians and their libraries will be participating in the first ever national Money Smart Week this spring, from April 2-9, 2011. Events will take place at member libraries across the country and will and cover topics from learning how to apply for a mortgage to teaching young people about credit. We all, librarians included, can benefit from that! Watch this site ( http://www.chicagofed.org/webpages/education/msw/index.cfm ) for information on joining the initiative, for news, and for important links you can use right now. I will be posting again later this week requesting info from all Library Garden readers on programming ideas, as I am now, as of this month, on the Academic Money Smart Week @ Your Library Committee for ALA. Although it is otherwise a slow news day, as we all await the start of 2009 and look ahead to a new year unfolding. 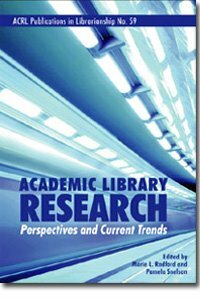 I am so thrilled that “Academic Library Research: Perspectives and Current Trends,” which I co-edited with Pamela Snelson, Director of Franklin & Marshall College Library has just been released. This book has been in the making for over 5 years, and I haven’t actually held a copy in my hands yet, but I’ve been told that my copies are in the mail! We take a look back at academic library research since 1990, showcasing this time of rapid, revolutionary change. I co-wrote the chapter that summarizes research on reference (face-to-face and virtual reference modes) with Lorri Mon and predicts trends in reference over the next few years. The book is #59 in the ACRL Publications in Librarianship series, edited by Craig Gibson. 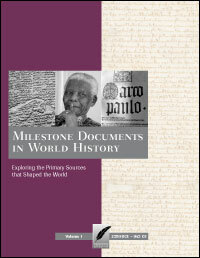 ACRL/ALA has published the book just in time for it to be showcased at ALA Midwinter in Denver which I’ll be attending. According to the Press Release the book “updates traditional topics that have undergone exceptional, and in some cases unexpected, change since 1990 as well as reaching into new areas. It combines theoretical scholarship with real world research, including case studies and user surveys, designed to inform practice. Part I highlights significant perspectives and trends such as reference service, information literacy, collection management, knowledge organization and leadership. Part II features two chapters on recently developing evaluation methods, including usability testing and measuring library service quality through LibQUAL+. 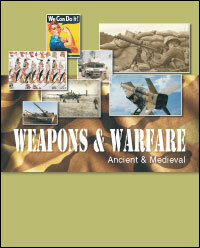 It is always a joy to see a finished product finally published and out there to add to the library literature. Am now already involved in two more book projects, one of which is an edited volume (co-edited by Dave Lankes) of reports from the field and research papers from the Reference Renaissance conference. Would be amazing if the Ref Ren book, to be published by Neal-Schuman could be out by the end of 2009, will be fun to work towards this goal. The Truth Is Out There–We Are Not Alone! In today’s New York Times, Michelle Slatalla writes about turning to the Internet for advice for dealing with ‘life’s little insoluble conundrums’–in her case, a smoke detector going off in the night. In the article, she talks about services like Wiki.Answers, Amazon’s Askville, Funadvice.com, Askmehelpdesk.com, Help.com, and Yahoo Answers to ease the helplessness we all feel when life throws us a bizarre curveball. I immediately thought of the new NJLA and New Jersey State Library new marketing campaign called Solving Life’s Little Problems. This is exactly what Ms. Slatalla was talking about–I have tried everything I know, now what? Hers was not a huge problem, but it was annoying and a big deal to her. Yet despite noting that at times the answers on these sites is often wrong and noting ‘the answers don’t go through fact checkers’, the article never mentions professional library services such as QandANJ.org. I wanted to scream! Why are we being ignored? Why aren’t you writing about us? How can you know the information can be bad, but still extol the virtues of such services? People have questions. Libraries have answers–even 24 hour Internet Access to answers! We need a new marketing campaign. These services are getting the word out better. The article states that Help.com has had a 73% year-over-year increase in traffic to 316,000 visitors per month! That is huge. Compare it to the very successful QandANJ.org service that gets around 4,500 users a month (keeping in mind it is live and it is branded in one state vs. Help.com being a worldwide post and wait service so it is not an apples to apples comparison, but still…). I am in the process of writing Ms. Slatalla (slatalla@nytimes.com) to let her know The Truth Is Out There! We are ready and able to ‘Solve Life’s Little Problems’, 24 hours a day, seven days a week. Still, the article serves as a wake-up call for me–We Are Not Alone! I think we need to understand what these competing services offer users and learn from them. For example, lurking–you can sit and read volumes of previous posts on a topic without the need to ‘come out’ to a live librarian. I know of no similar service offered by Libraries. We provide pathfinders to resources, but what about answers FAQs? Likewise, some of the questions asked are real stumpers that I am not sure how well they would be answered by librarians. For example, in the article, one question listed is ‘When you make out with a boy or girl, what do you do with your tongue?’ Honestly, I have no idea how I would answer that (but you can bet I will go out and look at what was posted and hope to learn something new in the process!). How would you answer this? This isn’t the first time library services have been ignored by Ms. Slatalla. In January she wrote about Tutor.com (here is the article). Again, she never mentions that this service and many other homework help services are available, for free, from many public libraries. In fact, there are many times when her Cyberfamilias column talks up services we provide without mentioning us as a reliable on-line service provider. She is not alone. There are many other examples of the media reporting about on-line information sources that never mention libraries. This needs to change. I call on Librarians and Information Professionals to write to Ms. Slatalla (slatalla@nytimes.com) as I am. Let her know about what your library can do for her and her readers. Then don’t stop there–tell everyone you know about on-line services that are available 24/7 and then tell everyone you do not know. Tell every in library patron what they can use when the library is closed. Let people know–The Truth Is Out There! It can be found at your library! That’s okay you assure him and say you would just prefer to get the fish from him. “But if I show you how to fish, you wont have to ask me for it.” His demeanor is still pleasant but he is clearly showing that his time could be better spent doing other things than finding and weighing fish for you. You assure the monger that you understand but, at this time, you would rather just get the fish. And besides, looking around the store, you wouldn’t even begin to know where the cod was located. Your response incurs a sigh of annoyance as the fishmonger proceeds to process your request. As bizarre as the scenario sounds, it’s not uncommon to see this type of customer service in library staff. We’ve been trained with the idea that we need to teach our patrons to use library resources. And while this can be beneficial for patron and staff alike, do we always have to turn an information request into a teachable moment? What’s wrong with just giving them the fish? What’s more bizarre is that we feel the need to institute this type of attitude but then get upset at patrons who do try to find their own information. You decide to take the fishmongers offer and learn to fish. After a quick five-minute lesson on casting a line and setting the reel he let’s you on your way. When you finally catch a fish you bring it to the fishmonger he takes a quick look at it and snaps that the fish is no good. He cannot believe that you would even consider taking this fish from the pond and eating it. You’re confused. You go into detail of how, like he instructed, you went to the pond, cast out the line and caught a fish on the end of the line. As far as you’re concerned, the trip was successful because A) you wanted a fish and B) you caught one. Ummm, Isn’t that why you came to the fishmonger in the first place!? Man, you can’t win! First, we hassle the patrons with insisting on them doing the research themselves but, once they do, we are annoyed by the resources they choose. Sure, the difference between good and bad resources might be obvious to us, as well it should be. We went to school and got a Masters in Information Sciences for this very thing. Our patrons did not. As much as we want to create independent researchers, we need to take our efforts a step further and teach our patrons how to find quality resources. And don’t quality resources depend on what the information’s intended use is? The fishmonger continues to chastise you for your fish. So, the fish is good enough because it meets the needs of the patron. Sometimes, libraries get caught up in worrying about the quality of the information that they lose site of the information itself. If all you are looking for movies your favorite actor stars in, isn’t Wikipedia be good enough? Do we really need to bother hunting down the latest Encyclopedia of film actors so the patron has the most legitimate resource? Sometimes correctness is all that is needed of a resource. And sometimes, a quick and simple answer can suffice. In the terms of the fisher and fishmonger, the fishmonger loses sight of what the customer’s needs are. He becomes more interested in what he feels to be important criteria, without ever knowing what the fish is being used for, and forgets what one of the most basic purposes of his job is; to sell fish to people who want it. Personally, if I went to a fish market and was hassled about how to fish, where to fish, quality of fish, etc. I would eventually say to myself, “Screw fish, I’m gonna cook some burgers instead…” Thus, leaving the fishmonger to wonder where all his patrons went and why they can’t the public seem to see the value of his store. So, what can we learn from the fishmonger? 3. Offer to teach them how to scale it, if they need to learn. *Warning: candy may contain peanuts. To be eligible for reimbursement, entries must include proof of purchase and UPC code. All receipts must be notarized, time stamped and sent to your local archives office for a certificate of authenticity before submission. All candy must be approved by the FDA and meet all noted regulation requirements for Infant Formula, including lactose intolerance. Library Garden is not responsible for the freshness, satisfaction or effects of consumption. Offer void in 48 Mainland states.